Our annual tourism business seminar this year was held at Bodelwyddan Castle Hotel, Bodelwyddan on Thursday 24 May 2018. 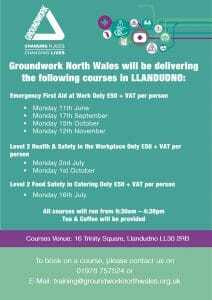 Go North Wales Conference – A date for your diary! The conference will take place at Neuadd Reichel, Bangor. More details to follow soon. 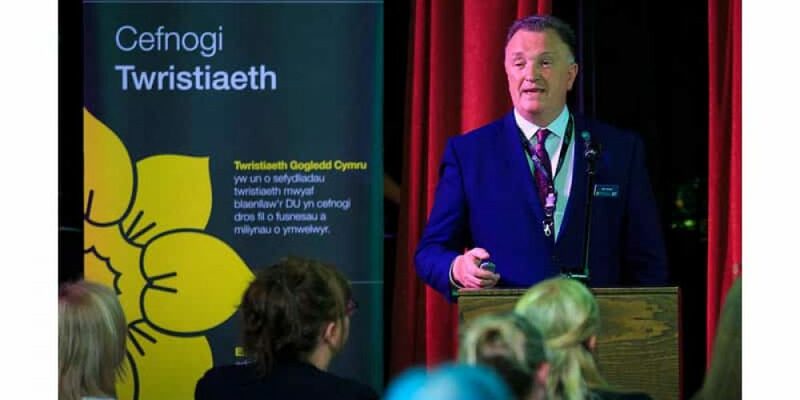 A workshop was also organised for the delegation to meet some of the trade in North Wales which included: Giant Hospitality; Deganwy Quay Hotel; Baravellis; Rydal School; Trefriw Woollen Mills; Bodelwyddan Castle Hotel; Aber Falls Distillery; Gwinllan Conwy and Go North Wales. You should have all received your supply of the Bedroom Browsers and other publications including Gardens North Wales; Great Days Out, Golf in North Wales and Fishing in North Wales. If this is not the case or if you require further supplies please email distribution@nwt.co.uk or call 01492 573887. Our website www.gonorthwales.co.uk continues to grow with web traffic to our site from all over the world we are currently up by 80% this year providing not only an in depth source of visitor information but also generating even more business for our members. Please login and update your entry – remember this is your opportunity to showcase your business through the GoNorthWales website. If you require a reminder of your login details please contact Anthony Woodhouse on 01492 539051 or email digital@nwt.co.uk. Don’t forget, if you are on social media you can follow us on both Facebook and Twitter @nwtbiz @gonorthwales – so if you have any event news or offers, let us know and we’ll promote it to our audience! Here at North Wales Tourism we are constantly hearing that you our accommodation members are being charged extortionate commission fees by numerous booking channels. Following discussion with a number of associations a ‘GO DIRECT’ campaign was launched at our AGM in May – ‘Go Direct’ will actively promote and encourage visitors to contact your business direct. Visitors will see your information published on the GoNorthWales website (No 1 in North Wales for hotels & B&Bs) resulting in benefits for your business and your customer who we hope will be offered the best deal by getting the best rate available direct from yourselves. A new ‘Planning Applications Wales’ website has gone live and will be the portal for submitting planning applications or associated consents to Local Planning Authorities, replacing the Planning Portal. The website has been designed to make it quicker and easier for anyone to make a planning application and forms have been simplified. It is designed to meet the needs of users of the Welsh planning system. To make a planning application visit planning pages. Guidance on what types of development can be pursued without the need to apply for planning permission along with further information on permitted development, the planning service and building regulations is available on the planning permission pages. The Bank of England Agent’s Summary of Business Conditions has been published. The Welsh Government is seeking views on proposals to extend the areas covered by smoke-free regulations and to remove some exemptions. Most notably they are looking to place a time limit on the exemption that permits designating bedrooms in which smoking is permitted in hotels, guesthouses, inns, hostels and members’ clubs. The Consultation closes on the 18th August if you wish to make your own submission. You can access the consultation documents and details on the Welsh Government’s website at https://beta.gov.wales/smoke-free-premises-and-vehicles-wales-regulations-2018. Two Cyber Security seminars have been organised for Wednesday the 11th of July to help businesses protect their business against cybercrime. The first will be in Conwy from 8am and the second will be in Chester from 4pm. See links below.